Patrick S. Cappabianca is a graduate of Strong Vincent High School, Gannon University (B.A.) and Allegheny College (M.A.). He was a City Councilman for 28 years, a principal of Roosevelt Middle School from 1972-1987, and Regional Administrator of the Pennsylvania Department of Revenue under Governor Bob Casey. 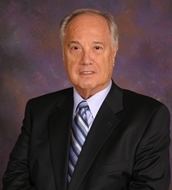 Mr. Cappabianca is currently a Board Member for the Erie Regional Airport Authority. Fun Fact: The son of the last Royal Italian Consul for Northwest Pennsylvania, Mr. Cappabianca was born in the Italian Consulate Office.